Content sites have a really bad reputation, and rightfully so for the most part. The idea of writing content for someone else for a few dollars a month is depressing. There are people out there spending hours in front of the computer screen, churning out 500 word articles for less than a penny a word. And now I'm depressed. Even the thought of someone else doing that crushes my soul a little bit. Luckily, there's another option out there that pays a decent wage to honest writers: Constant Content. I've only been seriously writing for Constant Content for a few months now, but I'm absolutely thrilled with how things are going so far. I made over 500 dollars in my first month, working part-time from home. I'm not an expert and am still learning to maximize my income potential - I expect that this page will change and grow as I learn over the coming months. For now, though, I'm happy to share what I've learned so far. This is a fairly long and in-depth review of Constant Content that will answer some of the questions that might be buzzing through your brain right now. Constant Content exists in a fuzzy area, tucked in between content mill and genuine freelancing gig. The basic set-up is that you write articles, upload them, choose a listing price, and get paid when they sell. Think of Constant Content as a kind of gallery for your work. They provide a place to showcase your writing, take care of all of the invoicing / marketing / customer inquiries, and charge you a 35% commission. While this might seem a bit steep to some, it's well worth it, as far as I'm concerned. Not having to worry about marketing or networking means that I can sell short articles without having to pitch ideas or write queries. Besides, the prices that you can command at Constant Content are much, much higher than on most other content sites. You set the rates for your own writing - keeping in mind that 65% of the list price will end up in your pocket. Constant Content can sell articles for higher prices because they have incredibly high standards. They only accept carefully-written and well-organized articles completely free of spelling and grammar errors. I consider myself an above-average writer, but two of the first six articles that I submitted were initially rejected due to errors that I hadn't caught, small things like a misplaced comma and an uncapitalized word. It was humbling. Buyers purchasing articles are confident that they're buying unique, engaging, well-written work - and they're willing to pay for it. How does Constant Content compare to low-quality content mills? So what can you write for Constant Content? There are four different categories of writing available through Constant Content. I've had success with all of them. speculative: write about anything you want and hope that it sells. It might not sell immediately, but given enough time, there's a good chance that it will - days, weeks or even years down the road. I started out writing mostly speculative articles, adjusting my topics as I gained a better idea of what sells more quickly. The bigger your article catalogue, the more likely you are to make sales. public requests: customers place requests and writers submit articles. There's no guarantee that a buyer will buy your article, but at least you know that there's a demand. If the buyer doesn't choose to purchase your article, it will be transferred to your catalogue, where someone else can buy it. Three articles that I wrote for public requests ended up being purchased by different buyers. In addition to public requests, Constant Content also sometimes lists standing orders or rush orders, which have a very good chance of generating sales. writer's pool: once you've sold enough articles, you might be invited to join a writer's pool, where you'll be able to choose requests. 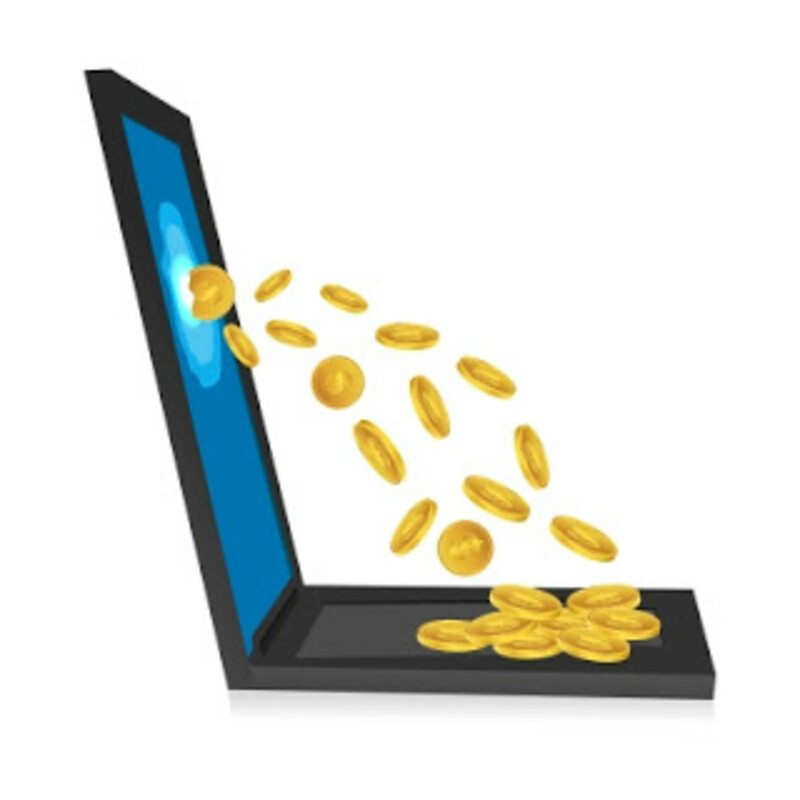 I've been invited to join a few writer's pools, and have found them to be very profitable. private requests: customers can message a writer directly and commission them for specific articles. This is the best-case scenario, since you're almost guaranteed a sale - even better if it's for regular, ongoing work! I received my first private request in June. The rate per word was much higher than anything else I've written for Constant Content. Decent income. It usually takes me a little over an hour to write and proofread a 500 word article, which I generally price at 40-50 dollars. I can set my own price, so longer articles can be priced higher. The most expensive speculative article that I've sold was 750 words long and priced at 65 dollars, which put a little bit more than 40 dollars in my pocket. High standards. I don't want my writing posted on a site that sells poorly written articles filled with spelling errors and grammar mistakes. I have high standards for myself, and so I also have high standards for anywhere that I might choose to put my work. You won't be able to churn out three articles per hour and still meet CC's standards - but that's why they pay more. Great writing practice. I'm learning to proofread my work a lot more carefully. I'm also learning to write more clearly and succintly. Wordiness? Yeah, that's sometimes a problem for me. Shocking, I know. Supportive community. The forums at Contant Content aren't that busy, but they're very supportive. There's no competitive atmosphere. It's really a case of "make the pie bigger": the more writers post on CC, the more buyers will visit. High standards. I call this a positive rather than a negative, but there are lots of complaints on the forums that the standards are too high. Articles are rejected regularly, and while sometimes you'll receive editorial notes, sometimes you'll just get a form email stating "Please proofread for comma usage" or something similar. You have to do your own proofreading and editing. The editors stop reading at the first error, so it's possible to resubmit and have the same article rejected more than once, for more than one reason. Too many rejected articles can lead to being permanently banned from the site. Full rights. While you can sell for usage rights (ie. someone buys your writing, but keeps your name on it), most of the articles that sell on Constant Content are for full rights. That means that once your work has sold, it's no longer yours. It can - and almost certainly will - be reprinted with someone else's byline.This doesn't bother me, because I'm writing these articles for income and for writing practice. However, I know that I also have to work on other writing so that I can build a portfolio and bid on freelance jobs on my own. Approval wait time. 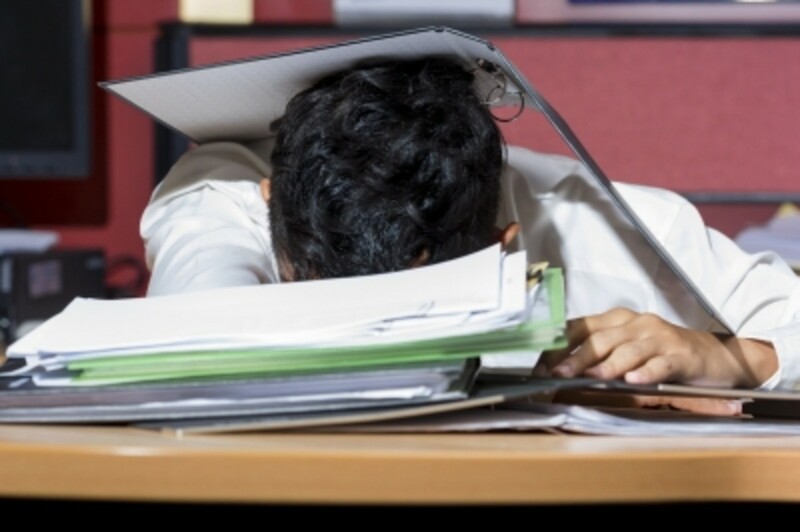 The editors at Constant Content move as quickly as they can, but in order to maintain their high standards, they need time to carefully read through every submission. If you're lucky, it can take less than a day for an article to be accepted. But if submission volume is high, it can take up to a week, which can feel like forever, especially when you're new to the site. Lack of feedback. When an article is rejected or accepted, it's often with very little feedback - or none at all. The editors at Constant Content have only one goal: to review your work and make sure it's good enough. If you're expecting pats on the back or words of encouragement, they're few and far between. Potential for theft. Articles on Constant Content are listed with a preview (or sometimes the whole text, if you prefer) in image form. Only registered users can see the preview images - although anyone can register. Because the previews are in image form, there's no danger of anyone copying and pasting your work. It is, however, possible that a dedicated scraper might retype your work manually. It happened to me once in 46 articles. And I'm not going to sugar-coat it - it was frustrating and disappointing and pretty much ruined my day. Luckily, the potential buyer who found the scraped content paid me extra to rewrite it, so not all was lost. Is Constant Content a Scam? Absolutely not. You pay nothing to post your work on Constant Content. The editors and the management are efficient, professional and very good at what they do. If your submitted article is good enough to get accepted, you can list it. If it sells, you get paid. Money is deposited twice monthly to your Paypal account. It's as simple as that. Build your catalogue. The more you write, the more you'll sell. Every month, I'm expecting to see my income creep higher, as both new and older articles sell. Set some goals. I wasn't serious the first time that I tried Constant Content two years ago, and as a result only uploaded 8 articles in a few months before my motivation fizzled away. This March, I set a goal of 30 articles in one month. I surpassed that goal and intend to submit 30 articles per month once my current contract runs out. Write to public requests. Honestly, I don't write to public requests that often. But I do look at them every day. If there's something that interests me, and I feel that I can research and write it within less than two hours, then I'll write and submit something. I haven't always had luck with public requests, and for that reason have a few very obscure articles sitting in my catalogue (think: Lucid Dreaming and Haunted Places in Toronto). Who knows? Maybe someone will buy them someday. Or if I get tired of seeing them in my catalogue, maybe I'll remove them from Constant Content and post them somewhere else. But I have made sales thanks to public requests. Write to standing orders. Standing orders are put up by Constant Content when there's a lack of content in a particular area, or when a customer plans on buying a very large number of articles about a particular topic (think hundreds!). If you write to a standing order, and your article is accepted, there's a very good chance that you'll make some sales. Write evergreen content. Articles might take a long time to sell. One of my original articles sold nearly two years after I first listed it. When you're choosing topics, write about things that will still be relevant a week, a month or a year down the road. If you write time-sensitive articles and they don't sell right away, you may never sell them. That said, timely articles on technology-related subjects (Google panda updates, for example) do seem to sell. It's a risk. Keep an eye on the recently sold content and recent searches. It's worth checking out what's selling and what people are looking for. While I don't write directly to those lists, I do keep an eye on them and jot down ideas as they come to me. 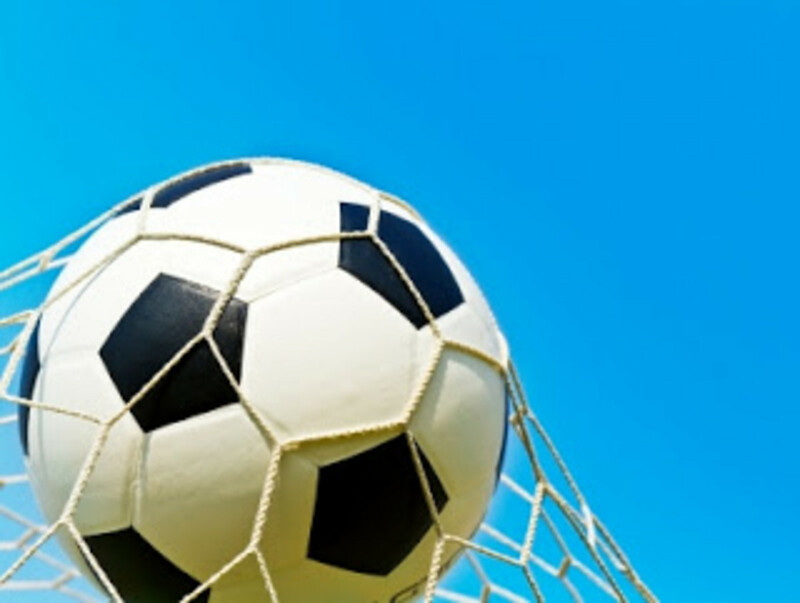 Write sellable articles. People are buying articles because they expect to make money with them. Some topics are more easily monetized than others: technology, beauty, health and lifestyle, finances. While you might write beautiful articles about local customs in Micronesia, they won't sell unless someone wants to buy them. Keep your articles short and sweet. According to Constant Content, the easiest articles to sell are between 500 and 700 words. This can be hard for wordy people like me! Use an appropriate voice. Think about what you read online: simple, concise text that's written in accessible, chatty language. Academic papers won't generally sell on Constant Content. Don't get discouraged. Early on in my first month, I was worried because I'd written 20 articles and only sold 4. I started thinking that I was wasting my time. But I kept writing, and the sales kept trickling in. Insider tip: obsessively reloading your author page does not make your articles sell any faster. Trust me, I tried. Just keep writing and submitting. How should you price your articles at Constant Content? This is a very personal decision that depends on how much time, research and expertise go into your articles. It also depends on how quickly you want to sell your articles. Less expensive articles might sell more quickly, although I figure that if a person is willing to pay 45 dollars for an article, they'll probably be just as willing to pay 50 dollars. When that article sells, I'll be paid 35.75, 65% of the selling price. If I'm writing for public requests or standing orders, then I'll price accordingly. For instance, in April there was a rush order for energy-related articles: 500+ word articles for 40-50 dollars each. I wrote five articles, ranging from 506 to 714 words, and listed each of them for 50 dollars. You can sell full rights (the buyer doesn't need to use your byline and can make changes to what you've written), unique rights (the buyer keeps your byline and cannot change the article; you cannot sell the article to anyone else), and usage (the buyer keeps your byline and cannot change the article; you can resell the article as often as you like). I prefer to sell my articles for full license. I'm not interested in having my byline attached to any of the work that I do for Constant Content, and I know that the vast majority of sales are for full rights. If I do sell an article for usage, there's no guarantee that it will ever sell again, so I might not make the same amount of money for my work. 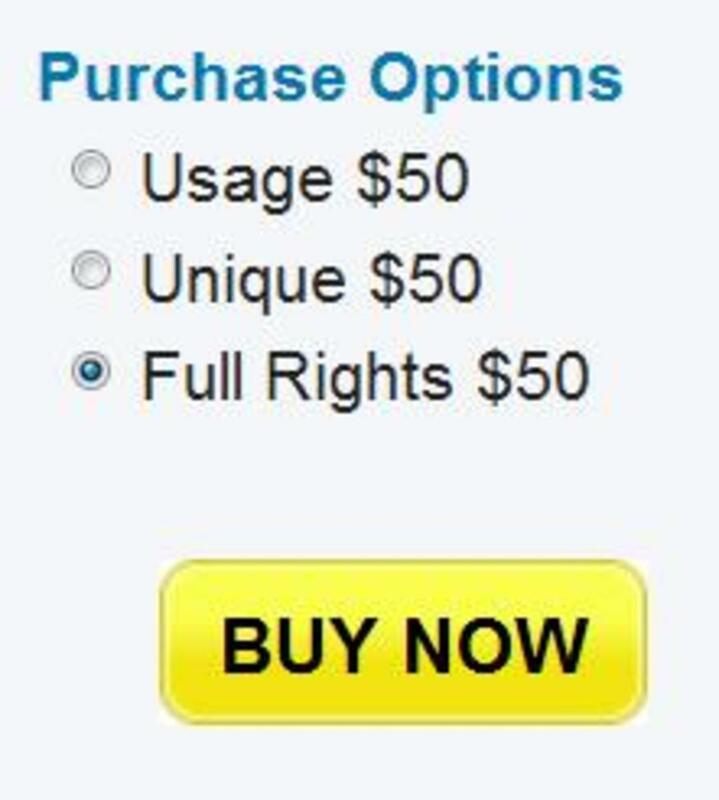 For this reason, I list all three licenses (usage, unique, full) for the same price. How Much Money Can Writers Earn at Constant Content? The income that you make writing for Constant Content is directly related to how much time you're willing to put into writing. I spent as little as 35 minutes on a short article (under 350 words) using background knowledge that I already had, and as much as two and a half hours on a longer article that required more in-depth research. The average amount of time that I put into writing a 500-word article - including planning, writing and editing - is a little over an hour. That said, I'm a relatively quick writer and I'm a good proof-reader. In March 2013, my first month writing for CC, I wrote mainly speculative articles. I submitted 38 articled and sold 17, which put a little over 500 dollars in my paypal account. A few of the other articles sold over the following few months, although many of them are still in my catalogue. I'm not terribly worried about the articles that don't sell right away. They provide residual income as they sell in the following months - they're like money in the bank. In June 2013, I was much busier with my day job. I was only able to write 11 articles, all of them for writer's pool or private requests. However, I sold all 11 of them - and ended up with almost 400 dollars in my paypal account. 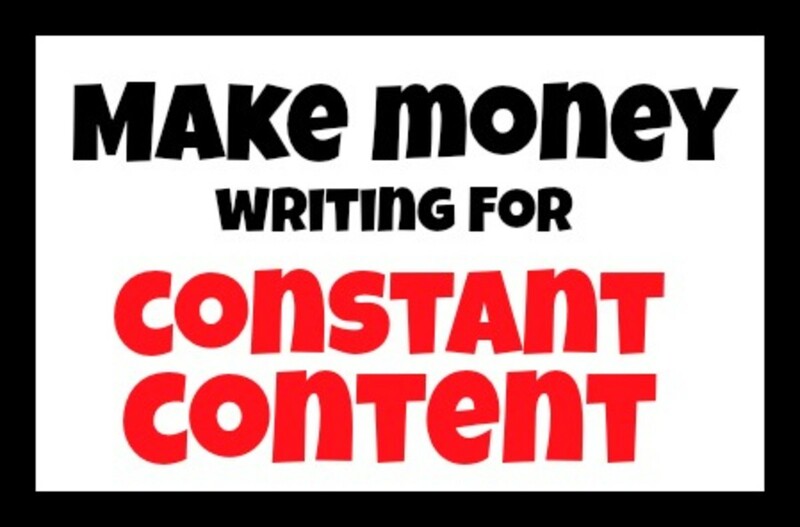 There is real money to be made at Constant Content - so long as you keep on writing! So is writing for Constant Content worth it? Absolutely. The articles that I'm writing for Constant Content are cheerful fluff for the most part. This isn't writing that's going to change the world, but I enjoy it. 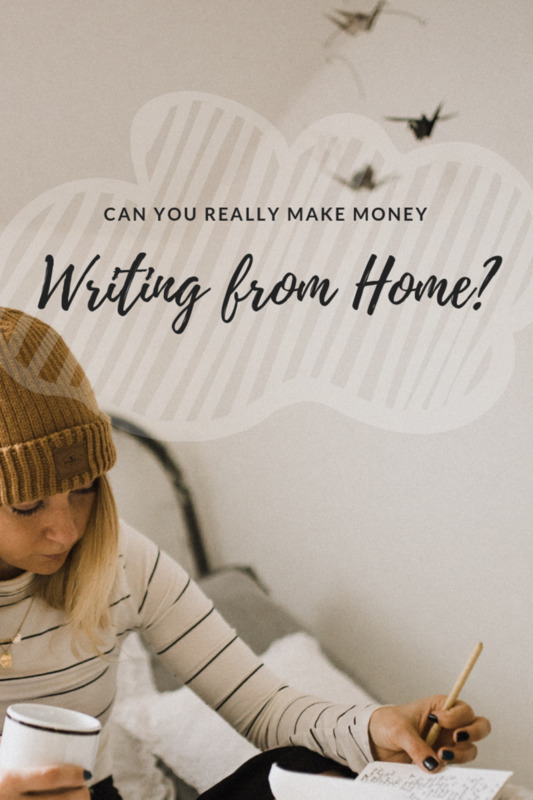 There are some writers who write on Constant Content as their main source of income, although most writers use it in conjunction with other work. While I can see myself writing for Constant Content long-term, I don't plan on it being my main source of income. I'm working on building my portfolio so that I can freelance on my own in addition to writing for Constant Content. But it's fun, and it's a very good way for proficient writers to supplement an income from home. Ooh, really liked this article. Checked out the site sign up page just now and it seems open to a number of countries. Will be signing up to try it out soon. Thank you! Enjoyed this so much! An array of great, useful, relevant information that I will use. Thank you! Great job on this. Helpful, informative and inspiring. The site is up and running just fine. I liked this article and was inspired to go to the CC site and sign up. However, it seems to have been closed down - although it still comes up in Google search results, none of the links work and going direct leads to 'this site is unavailable' or something like that. It's not my computer because everything else is working just fine. Hi, luckywriter - I'm thoroughly enjoying the discussion here. I'm the author of 'The Freelance Writer's Guide to Making Money on Constant-Content.com' (published Feb 2014), so it's always interesting to hear different people's experiences on the site. Mine were very positive: during Nov/Dec 2013, I made @ $1900 USD there, writing only about 17 hours a week during those two months. I got pretty lucky with the timing of available Writer Pool articles, but even without Writer Pool articles, there's still decent money to be made on CC. I won't give the Amazon link to my eBook here, because I don't want to get bludgeoned for self-promotion, but if you're thinking about writing for this site, this eBook will propel you in the right direction so you can start making money. Very well put together and informative. Thank you! Awesome hub for newbie freelancers. Thanks. Up, Useful, Interesting, and shared with followers and on social networking sites. Thanks, theluckywriter, for this informative article. It convinced me to give Constant Content a try. I'm worried that I might not be a fast enough writer. We'll see. Good luck, Will Lake! I certainly hope you are successful on CC and can quit one of your other jobs. Note that CC only accepts 6 items in the review queue for new writers until you have 10 approved articles, at which point that limit is lifted, so plan accordingly. (I didn't know this until it was too late, so I'm impatiently waiting for my 10th article to be approved so I can submit a bunch more that are ready to go now.) Like Hub Pages, you'll have a ramp-up time before you'll have a large enough portfolio to make a "steady" income, and someone once said in the forums to assume that each thing you write is ultimately worth $20, regardless of your pricing strategy. Personally, I price according to their guidelines, but most people price a lot lower, which I think "cheapens" all of the material on CC. Oh, well: I don't run the world (thank goodness for all of us!). @Laura Shneider Thanks for following me! I honestly don't write much on Hubpages, though. I have a personal blog about language learning (http://www.tobefluent.com) that's taking up a lot of my time right now. I also still write for CC. I do hope to get back into HubPages - there are only so many hours in the day, though! :) re: using underperforming hubs on CC, just be careful that you use the same exact name in both places, or you might be accused of plagiarism. CC is very strict about plagiarism. You'll also only be able to offer your hubs for usage - which honestly doesn't seem to be the best way to make money on CC (although some people do it, and do it well!). Most articles on CC seem to sell for full rights (basically ghost-written). As a brand new writer on CC, I would start by submitting a few original articles. Save your usage stuff (that's already been posted elsewhere) until you're firmly established in CC. It would be such a shame to be banned for plagiarism at the very beginning, especially if your hubs have been scraped and reposted elsewhere. Good luck! @KCummins - sorry for the late reply! Health and fitness articles tend to sell pretty well. They do go in seasonal waves (new year, bathing suit season, etc), but they seem to sell well all year. Energy articles also seem to do well, as do home improvement. I would say write what you enjoy - and what won't take you too long to research. Then just let them sit. They might not sell right away, but they'll probably sell eventually. I have a few dozen articles in my catalogue, some of which have been sitting there for six months, but I don't really worry about them. Good luck! Awesome article--informative, complete (as far as I know), personal and professional. Very helpful! I was on the fence about Constant Content, but I'm over on your side now: I'm going to sign up and give it a try! Like you, my problem is wordiness, but I'll have to solve that problem quickly if I want to make money and get my portfolio of work built up so that I can get sales. Like you, I almost exclusively write only about what I know and am passionate about. Constant Content sounds like it will fill a void in my tech writing career that desires creativity and flexibility, just like HubPages does. Some things I write will be appropriate for one audience, some for the other. I'm so happy to read about this and excited about the possibilities Constant Content offers, especially for some of my shorter, under-performing Hub articles--I can't wait to get started! Voted up and Awesome and Useful. I'll definitely follow your work (why haven't I run into you before? guess it's a big world after all!). So happy I stumbled on this post, I just found Constant Content and I think you've told me everything I need to get started. Its encouraging that you've had such a great experience because I'm looking for something to fill in the gaps when I'm having trouble finding clients elsewhere. Any recommendations on topics/niches to focus on or should I just experiment with a few of my areas of expertise? I'm primarily a travel writer, but I love writing health and fitness articles and have a lot of experience in these industries. @rajan, I've been writing for CC for going on six months now, and although I've been writing a little bit less lately due to other activities, I still love writing for them! Useful information. I will be checking out this site as it seems quite interesting to me. KoffeeKlatch Gals - hope you enjoy it as much as I do! This sounds like a site that I have to visit. I'm always open to new avenues for my writing. Great hub. Thanks so much for taking the time to share all of this information. Okay, sounds interesting. I am sure I have written some articles here that I should have saved for a website like that. I am definitely going to check into Constant Comment. Thanks for the info. @Karen, no I wouldn't say that they're in competition. I use completely different styles for each. I haven't written much for hubpages yet, but my purpose for each is different. I write for CC to make money. I write on hubpages to communicate and share about things that interest me. As for prices on CC, once you sign up you can see a list of recently sold articles with prices. 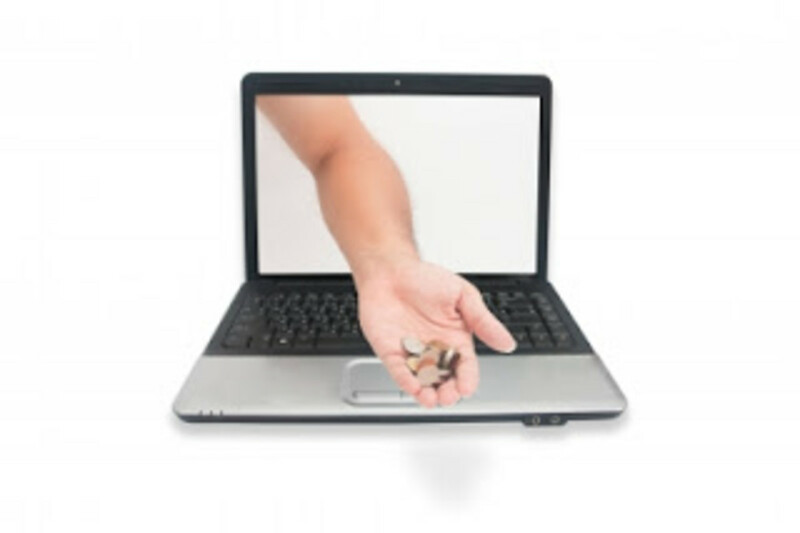 Each author sets his or her own price, so you can decide what you want to sell for. This sounds like an interesting site. I am not sure I can come up with enough material to write for both Constant Comment and HubPages though, on a regular basis anyway. Do you find them in competition with each other in terms of which site you will write an article on a certain subject? And do you have any idea what average price of articles is on Constant Comment? Thanks for sharing this information with us. @Dawn thanks for the tip! I'll have to check out Grammarly! When I became a full-time freelance writer, I invested in a subscription to Grammarly. This product reviews each article for mistakes like comma usage and wordiness and makes my writing appear better than it really is! @harmony155, yes! With one major difference: I'm writing fewer speculative articles, because I'm mainly writing to rush orders. I've also written a dozen articles for a writer's pool. All of those articles (rush orders and writer's pool) were almost guaranteed sales. And I just got my first private request, so things are going well! So yes...I'm still averaging over 500 dollars per month, except that I'm writing a lot fewer articles, so my average hourly rate is much better. Great hub! Are you still averaging $500 per month? I never even tried my hand a the low paying sites. 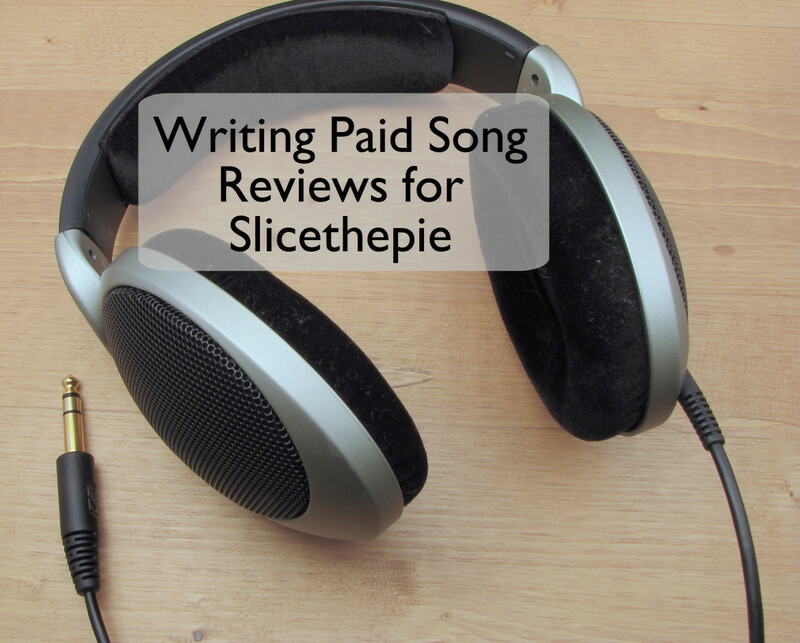 I prefer to write for a place that expects more...and pays more. I hope you enjoy CC! This sounds encouraging and I will revisit the site. I stopped writing for other pay- for- article- sites due to the low payments and picky customers re-write requests. Well written and thumbs up! I'm glad you found it useful, NateB11! I have to update this hub soon to be less specific to the month of March. I've found that I continue to make money from CC - so long as I keep writing! Yes, web writing definitely requires a certain voice that is very different from what we were taught in school. I consider myself a writer, but until I started writing for CC, I never would have imagined myself writing so much in second person! This is the second Hub I've read on Constant Content and it's sounding yet more appealing. I like how you broke this down thoroughly. What you wrote about having the right voice for a web article is interesting to me because I've been working on it. Strangely, I tend to write in an academic tone often, don't know why because I don't even like writing that way. What you've presented here is valuable information to me, I think I'll give CC a try. Thanks for the kind words! I've made money through CC every month since putting up this hub. I really do enjoy writing for them, and I hope you do as well! I am happy that I stumbled upon this hub. You presented a fact filled over view on Constant Content. I started on Hub Pages for support, to improve my writing skills, and to be a part of a writer's community. I am also writing a book. 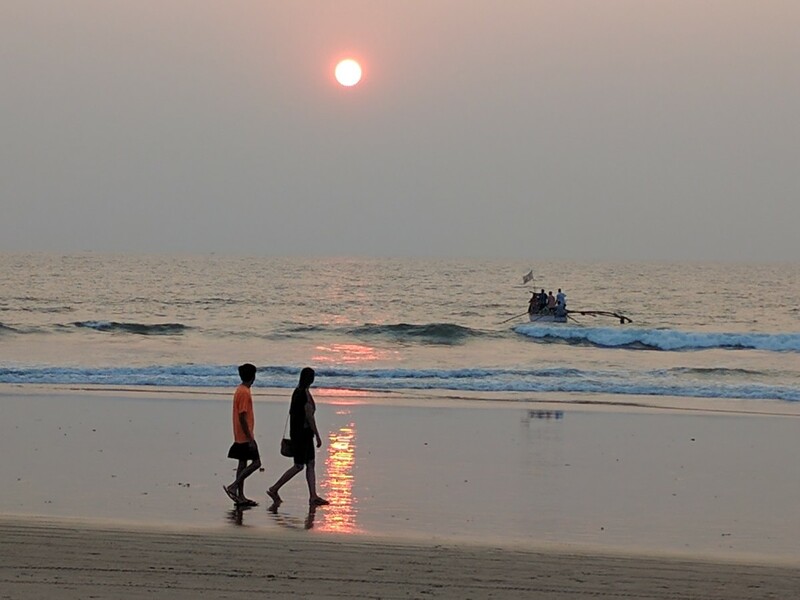 I will try Constant Content as I am interested in supplementing my retirement income. Thanks so much for the information and for sharing. I will pass it on! You're right...it really is ghostwriting - at least, it is the way that I write for CC, selling for full rights. But I don't really think of my articles as "my babies". My babies are other things...my novel, my blogs, my creative non-fiction. The articles that I write for constant content are more like a "job". While I enjoy the writing - and LOVE when my articles sell - I don't write for CC out of a sheer love of writing. I write for CC out of a sheer need for money. Ha! I have nothing but good things to say about the process and the editing team. I've had a really good experience writing for CC so far, and expect to continue doing it as long as my articles keep selling! 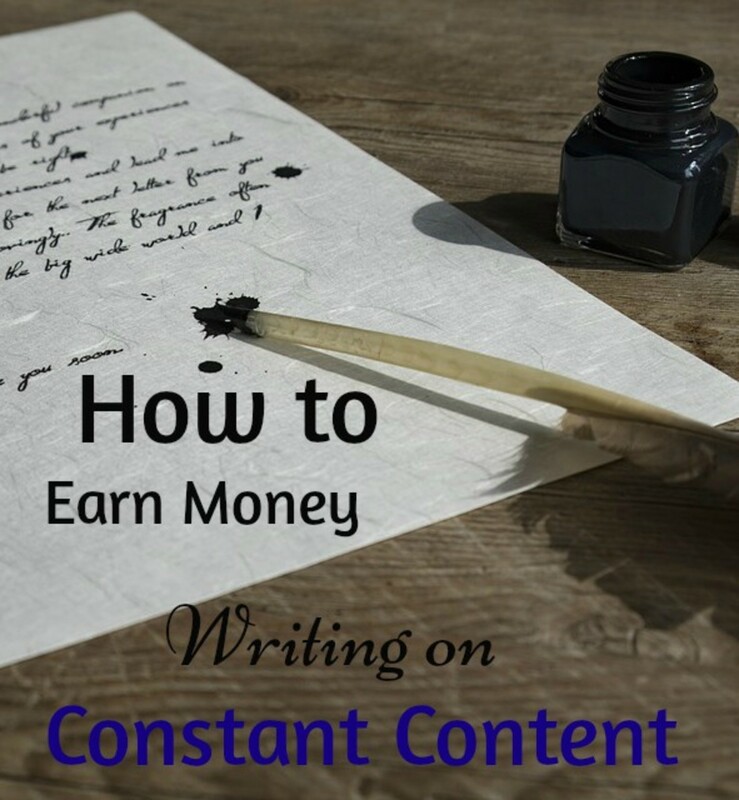 theluckywriter: Thank-you so much for publishing this review of Constant Content, it sounds like a very lucrative site to write for. I like that you openly admit that an author working for CC must continue to build their online portfolio, (or send out queries, etc.,) if they wish to continue building their own personal brand. I have a hard time with the idea of "letting my babies go," as it were: losing potential future work through writing by allowing my writing to be republished without my name. It's difficult, but akin to ghostwriting, I'd imagine. Excellent review, definitely something work looking into. Thank you for this review, Stephanie. I wrote for Constant Content and Associated Content (now Yahoo! 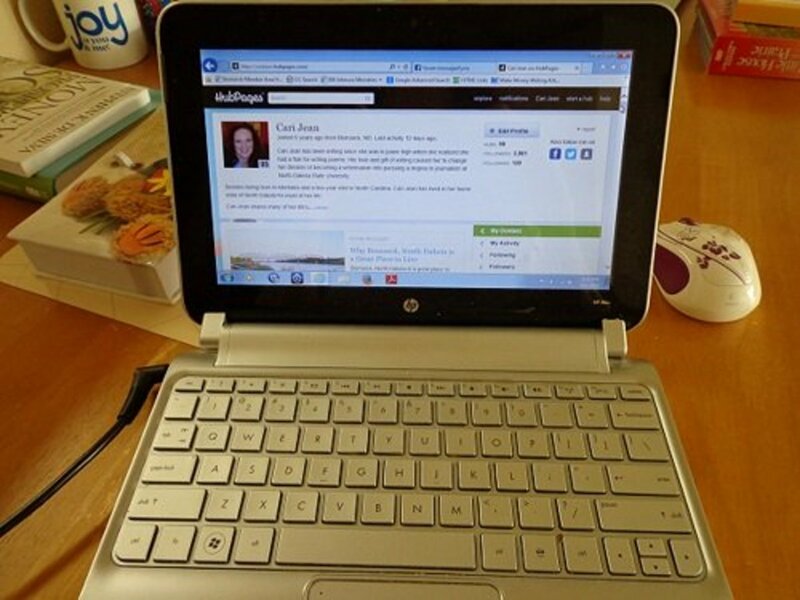 Voices) when I first dabbled with online writing. I earn good part-time income with Textbroker, HubPages and my blogs, but I am going to have another look at CC. @passionate77, they accept from anywhere - I think, anyway. But their standards are such that you have to be a native English speaker (or close enough that no one could tell from your writing). I do think that it would be much harder to write for Constant Content if English is not your first language. extremely nice hub. i really enjoyed it a lot and got a lot info indeed. But i want to confirm dear, does constant content accept writers or written content from all around the world or they only accept from some particular countries only? @NateB11, I don’t think it’s for everyone. But if you’re a strong writer with excellent spelling and grammar, then I think it’s a fabulous place to write! Please let me know if you end up trying it out. @rasta1, I’m glad that you found it useful! @Paul Maplesden, glad you enjoyed it. Good for you for signing up! Let me know how it goes! @nanderson500, I really do highly recommend it! @KoraleeP, thank you so much for your kind words. Now I’m blushing. ;) Yep, Canadian-based...beautiful British Columbia! I usually use American spelling in my articles, though, because I figure that there are probably more American buyers than Canadians and Brits. I may be wrong, though. Let me know if you try it out! 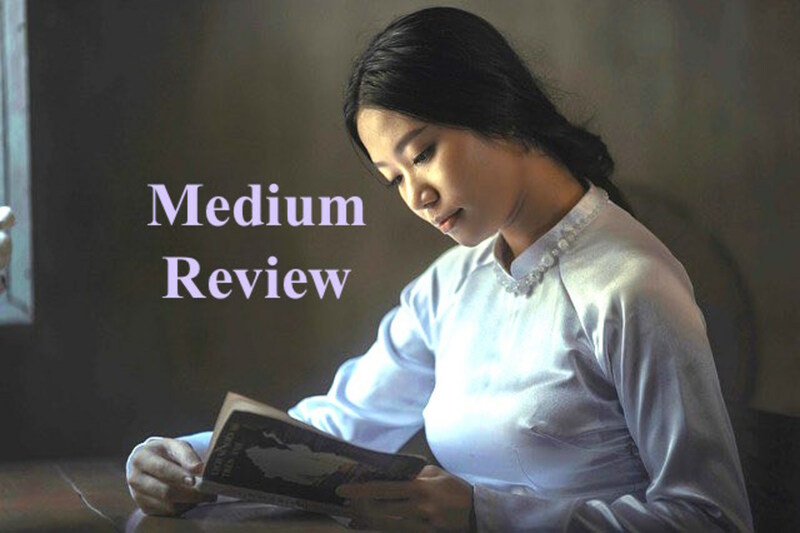 I really enjoyed reading your thorough review and detailed information about Constant Content. You are really exceptional at conversational writing! I envy you :) I can see why it is easy for you to sell articles there. I also thought you had to be American to write for that website. I'm not sure which one I've confused it with. I was also glad to read that it is Canadian... woot! woot! Very interesting! I have heard of this website but never tried it. I will definitely think about giving it a shot now. Excelelnt stuff, after reading this, I have just joined Constant Content, fingers crossed! Thanks for sharing this information. It has cleared up a lot of questions about constant content. This is very valuable information and inspiring for those of us wanting to earn income writing on the Internet. That you made over $500 in a month sounds good to me. I'm not sure yet if I can write the kind of article that will sell on Constant Content, but I'm willing to look into it for sure. Seems like you can't lose. Sounds kind of fun too. Thanks for this lead and for the detailed information. @susi10, thanks for reading. I'm glad you found it useful! Well Done! This is a fantastic review! I do hope you write articles like this in the future! @beingwell, I'm glad it was helpful! I hope you meet with success! Wow, that's a good sum! I'll visit this site, luckywriter!! Thanks. Sharing and voted up. The "stick to what you know" plan is definitely the one that I'm using right now. It helps that I'm a pretty fast writer - and I'm learning to stop editing compulsively, and to accept that sometimes things are "good enough". Keep in mind that not every article that I've written has sold...although I'm hoping that they will eventually. As I mentioned several times in my hub, I'm NOT an expert on Constant Content. I'm pretty new to the site, and I'm only doing it part-time (I teach during the day, which keeps me pretty busy). But so far I absolutely love it! Thanks, that's a very helpful explanation. Essentially, the best plan seems to be to stick to what you know. I currently work in a profession where I have to write about all sorts of things I know very little about, but I have to find authoritative sources to interview, and do research of public documents, etc. I'm not accustomed to writing in the freelance world and I'm still trying to find my way. Thanks so much for your help. That's a very fair concern. I mostly write about things that I already know, so I don't have to do too much research. When I say "research", it's more organizing thoughts and fleshing out a plan. I don't write about anything medical or anything too technical, because I don't have the necessary expertise...I definitely don't want to blur ethics by pretending to be an expert in something that I'm not. I really stick to general stuff for the most part. So I might write a 500-word article listing 10 snacks that are fewer than 100 calories - don't really need much research for that. I just have to plug stuff into a calorie calculator to make sure that my numbers are right. I eat paleo, so it's easy for me to write a general how-to on paleo meal planning. Or else I'll write an article on gift ideas for creative kids. I've been a teacher for almost 15 years, so I already have a million ideas. That article would be general - I don't recommend specific toys, just categories (like building toys or art supplies). Honestly, many of my articles are very similar to the type of stuff that I might write for hubpages - except without the first person writing or the personal stories. Does that make sense? Public requests tend to take me longer to write, because they require more research...that's why I mainly stick to stuff I already know. Please feel free to ask if you have any other questions! Very informative hub, thanks for posting this. I'm impressed you can turn out so many articles so fast. I'm a journalist by trade, and we have very specific ways to research, and I struggle with what's ethical as far as research when it comes to freelance writing like you describe. If there's no independent source, do folks just research online and paraphrase in their articles? I have a hard time with that, or my conscience does anyway. I think some of my doubts make me hesitant to pursue this route. I'd love to hear what's acceptable and what you do, if you are comfortable sharing. @sohaibasif, if you can write in flawless English, then I highly recommend Constant Content! @peachpurple, you must be mistaken. Constant Content is Canadian-based (not American), and has writers from all over the world (although authors DO have to be - or write like - native speakers). They also would never accept/sell articles from someone and not pay them. You must be mixing them up with another site. i tried constant content but it is only open to US resident , not international countries. I could only write but no payment. So, I left for HP instead.